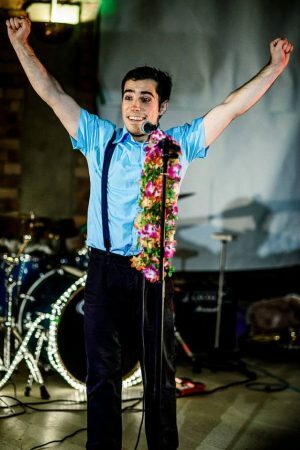 It is a show created in 2014, which collects characteristics of the traditional clown with the most modern and current hooligan Clown. It is a dynamic show full of musical, magical and circus routines. 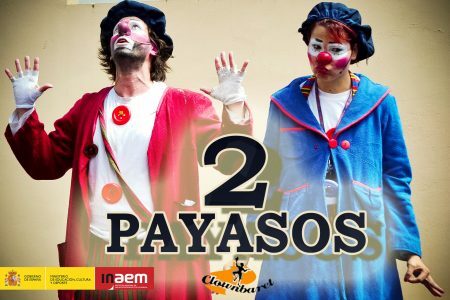 The ClaClowns embaucaran the whole family with the charm of the classic circus clowns of a lifetime and impress them with their diabolo routines, acrobatics, magic and physical comedy. The show has been programmed by the Diputación de Ávila within its Summer Program, and also within the Big Fair of Don Benito and Fiestas del Lucero, among other events. 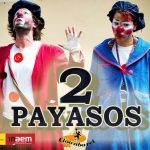 Company: ClaClowns (Spain – Madrid). 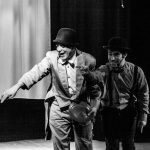 Little Testa embarks on a journey through its fantastic world, where spectacular circus numbers are combined with physical theater, contemporary dance and improvisation in a clown key. A universe of humor and physical prowess in equal parts, where the participation of the public is essential. Little arrives with a trunk full of strange objects: strange glasses, metal buckets, 3 diabolos and a fishing rod. He dances with the diabolos, fights against the cubes and rises to the sky in incredible verticals… “4×4” is a show of small format and full of surprises, with an excellent technique of verticals, diabolos, clown improvisation and an incredible trick with the participation of 3 public volunteers. 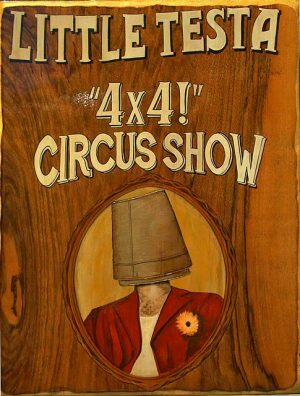 Company: Little Testa (Spain – Barcelone). Macarroni and Woody are 2 Clowns. Two clowns who come to make people laugh, to play with the audience and to make each other’s lives impossible, evoking the most classic clowns. After his tremendous start, Macarroni and Woody can not agree on who of the two leads the show in this show. 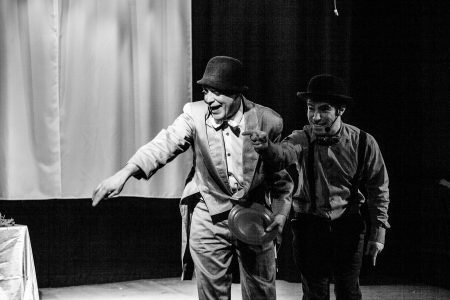 A funny spectacle for all audiences, full of mischiefs like those that these two clowns have been doing for so many years in which there is no lack of imagination, hypnotism and circus. Company: Clownbaret (Spain – Tenerife). 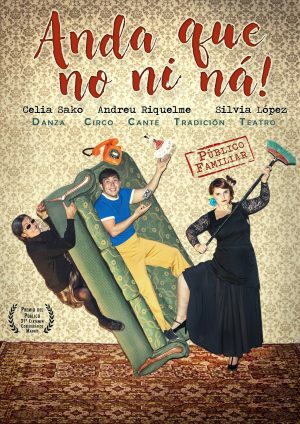 A somewhat atypical mother-in-law capable of hanging from the curtains, a widowed mother who sings and stomps with flamenco character and a teenage son who dances distractedly and reluctantly with his grandmother are the protagonists of this singular house. 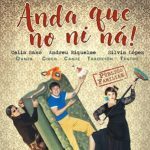 The story unfolds in the living room of a typical Andalusian home of the 70s and in it everyday situations such as cleaning the house, napping or reading a comic are transformed into moments of virtuosity and humor where everything is possible, even blowing up a sofa. Company: La Petite Producciones (Spain – Granada). In this show we can see from the most classic effects to the most contemporary within the field of magic and all mixed with clown techniques, which enhance a clueless, jocular and above all crazy character. It is a character just out of the asylum that will try to amaze the public at all costs. In the process he finds his inner world and discovers his abilities, getting more and more complicated magic effects, even some juggling with balls. 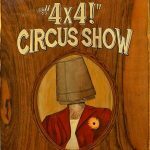 The show consists of different very visual magic routines being very impressive for the little ones accompanied by visual comedy and a great sense of humor that will make the older ones laugh. You never know for sure what is going to happen, anything can happen due to the continuous participation of the public and the large dose of improvisation. 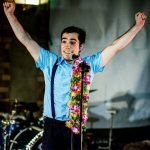 Company: Joaco Showman (Spain – Madrid).